Don Mullan was Director of AFrI (Action from Ireland) for 14 years (1979-1994), a responsibility he assumed at the age of 24. He spearheaded the transformation of the organisation from an ‘aid’ agency into a dynamic justice, peace and human rights organisation. It was here his skills as a concept developer, including re-imagining symbolism, began to find expression. AFrI was founded by Fr Sean McFerran, SDB, in 1975. While studying at the Development Studies Centre, Dublin, Mullan met Fr James O’Halloran SDB, a confrere of the founder. Fr. Jim, as he is affectionately known, spent most of his life working as a missionary in South America during which he became interested in the phenomena of Basic Christian Communities. He is the author of a series of acclaimed books which have been translated into several languages. In later life Fr. Jim became a much sought after lecturer on the subject, travelling extensively in Asia, Africa, the Americas and Europe to speak on Basic Christian Communities. An insight into Fr. 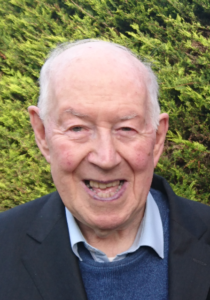 Jim’s rich life, dedicated to the gospel of the poor, and his global contribution to the development of such communities, may be accessed by clicking here. Fr. 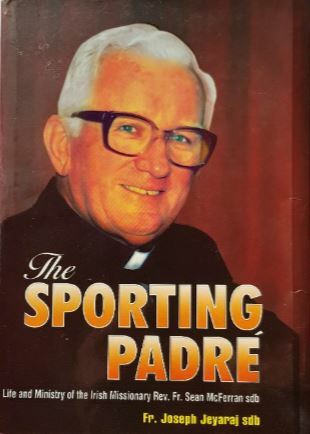 O’Halloran recommended Don to Fr Sean McFerran and following a number of meetings McFerran offered Don the role of Director, adding that his main reservation was Don’s age, but nonetheless, decided to hand the reigns to him. Mullan invited Joe Murray to join the AFrI Executive Committee and later brought him on board as his assistant. After Mullan left AFrI in 1994 to take up a position with Concern Worldwide, Murray assumed responsibility for the organization. He remains in that position today and continues to develop and manage many of the legacy projects and concepts that Mullan introduced.